Well guys it's been a while since the last post. I think it will have been worth the wait. This episode delves into the modern era a bit, with some amazing twists & coincidences. You WW II guys will especially like this one. Due to space limitations, this is a "Readers Digest" version. A shortened version leaving out some of the story, but telling the best parts. We begin with a descendant of the Major's, Lydia Gardner Happer. Lydia Happer was the Major's Grand Niece. While living in Washington, DC, she met and married a young Army Second Lieutenant named Maxwell Davenport Taylor in 1925. Max Taylor had a military career that is astounding. Here are a very few of the highlights. He graduated from West Point in 1922. For the next twenty years he worked his way up the ranks. In 1942 he was promoted to Brigadier General, serving with the 82nd Airborne. Promoted to Major General in 1944 and given command of the 101st Airborne. He became the first allied General officer to land in France during the Normandy invasion when the 101st parachuted into France on June 5, 1944. During the Battle of the Bulge, he was called back to Washington for a staff conference and was absent when the 101st was surrounded by the Germans at Bastogne. His second in command, Brigadier General Anthony C. McAuliffe, was the man who when asked by the German commander to surrender replied with the famous one word answer, “Nuts.” General Taylor commanded the 101st through the end of the war. From 1945 to 1949 he was superintendent of West Point, afterwards he was the commander of allied troops in Berlin from 1949 to 1951. He was Chief of Staff of the European Command in 1949. He was commander of the Eighth Army in Korea in 1953. He was Commander in Chief of the United Nations Command in 1955. From there he moved to Chief of Staff of the United States Army from 1955 to 1959, when he retired for the first time. After the April 1961 failure of the Bay of Pigs invasion, Kennedy recalled Taylor and appointed him to head a task force to investigate the failure of the invasion. He was recalled again by President Kennedy in 1962 to serve as Chairman of the Joint Chiefs of Staff, which he held until 1964. Both President Kennedy and his brother, Attorney General Robert F. Kennedy, had immense regard for Taylor, whom they saw as a man of unquestionable integrity, sincerity, intelligence and diplomacy. In the course of their work together, Taylor developed a deep regard and a personal affection for Robert F. Kennedy, a friendship which was wholly mutual and which remained firm until Kennedy's assassination in 1968. Robert Kennedy actually named one of his sons after the general. Matthew Maxwell Taylor Kennedy. Taylor retired once again, but was appointed the U S Ambassador to South Viet Nam by President Johnson, and served from 1964 to 1965. He then became Special Consultant to the President and Chairman of the Foreign Intelligence Advisory Board from 1965 until 1969, and President of the Institute of Defense Analysis as well. General Taylor during his career was awarded the following decorations for his service: Distinguished Service Cross, Silver Star, Distinguished Service Medal, Bronze Star, Legion of Merit, and the Purple Heart. General Taylor died in Washington, D. C. on April 19, 1987. He was buried at Arlington National Cemetery. His wife, Lydia Happer Taylor, passed away on April 22, 1997 at the age of 95, in Washington, D. C. She had accompanied her husband to assignments in Germany, Vietnam and Japan. She was the co-founder of the Army Distaff Foundation, which later became Knowllwood, a military retirement facility in Northwest Washington. Lydia and the General had two sons. One of them, Thomas Happer Taylor is a military historian with at least seven books to his credit. He also served our country honorably in the Viet Nam war where he had volunteered for service. He was assigned to the 101st Airborne. Taylor saw plenty of combat and was wounded in action. He was awarded the Silver Star and two Bronze Stars for valor, and a Purple heart. After his service, he attended the University of California at Berkley of all places to study Sociology. He also began his writing career. He wasn't finished just yet. He went to law school and was admitted to the California bar in 1978. He worked for a major corporation and applied his trade for a time in Saudi Arabia, where he once negotiated with the large Bin Laden construction company. While writing stories for Triathlete magazine, he decided to train and enter competitions. In 1982 he was the U S National Champion in his age group, in 1985, he did it once again. He was named to be the American flag bearer for Team USA in the World Championships at Gold Coast, Australia, and Budapest where he finished fifth. Tom Taylor wore his Purple Heart on his racing shirt. He said, "I wore mine for soldiers earning Purple Hearts in Iraq and Afghanistan. My wound was minor. Many of theirs are mind numbing." 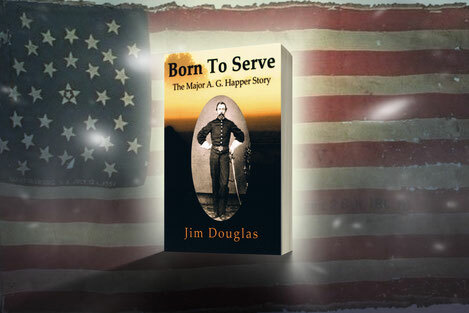 Their other son, John M. Taylor, was born at West Point, New York. He graduated from Williams College and went on the earn his masters from George Washington University. He worked for the U. S. government at the CIA and State Department for many years. Mr. Taylor is a historian and distinguished author of at least eight books including his latest, Duty Faithfully Performed, Robert E. Lee and his Critics.